Turkish police have thwarted an Islamic State terror plot by arresting two EU citizens that allegedly aimed to carry out a “sensational” attack in Europe, a Turkish news agency reported, citing a judicial source. Mahamad Laban, 45, a Lebanon-born Danish citizen, and Mohammed Tofik Saleh, 34, an Iraqi-born Swiss citizen, were detained in the Turkish city of Adana earlier this month, according to the source, who spoke to Anadolu agency on condition of anonymity due to restrictions on speaking to the media. The suspects were brought before an Adana court on Friday following ten days of interrogation and have been returned to custody to await the results of an investigation looking into their activities, Anadolu reported. According to the Adana police department, Laban and Saleh traveled to Syria via Turkey in 2014 to join the Islamic State (IS, formerly ISIS/ISIL) terror group. Although they initially claimed they had gone to Syria to provide humanitarian aid, a wider investigation reportedly revealed that the suspects had undergone arms and explosives training within the past three months – allegedly to prepare for a large terrorist attack in Europe. Police allegedly found Laban in possession of digital devices containing several pictures that they believe were taken with IS members in Syria. The photographs, which were published by Anadolu and Yeni Safak newspaper, show Laban and others in trenches covered with sandbags and wearing camouflage gear while holding machine guns. The other suspect, Saleh, was found to have initially traveled to Turkey with his wife Fatime and two daughters in 2014. The family then crossed into Syria, while Fatime returned to Sweden and filed a legal complaint accusing her husband of travelling to Syria to join IS. Both Sweden and Denmark have been informed of the arrests, according to the Local, which cited officials. The law enforcement agencies of both countries said they are in contact with Ankara and looking for more information. Last month, Turkish Interior Minister Suleyman Soylu said that more than 52,000 people from 145 countries had been blacklisted by Turkey as possible security threats. Some 820 people with alleged terror links were also arrested earlier this month in a week-long operation targeting IS terrorists across 29 Turkish provinces, according to a statement released by the Ankara police last week. Turkey has recently been targeted by a wave of terror attacks, most of which were carried out by Islamic State. These included a tragedy on New Year’s Eve, when a gunman went on a shooting rampage in an Istanbul nightclub, leaving 39 people dead. At least fifteen of those killed were non-Turkish citizens on vacation in Turkey. 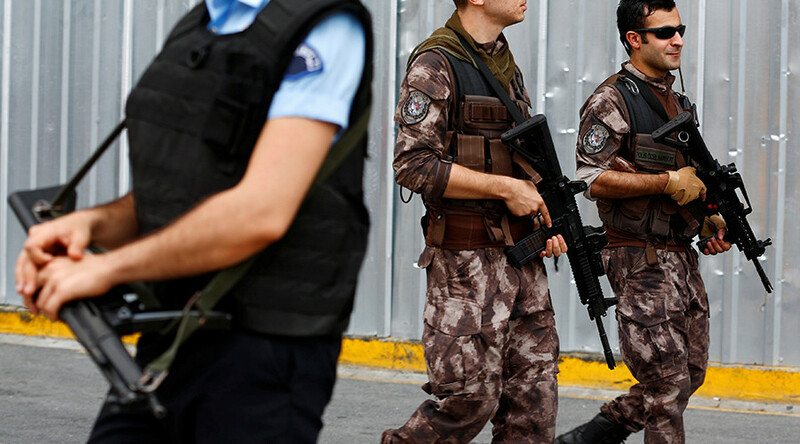 Last week, Turkish authorities even resorted to imposing limitations on covering the frequent terrorist attacks, warning that reports must avoid “exaggerated statements involving agitation” or “criticism and commentary” that could serve the terrorists’ purposes.